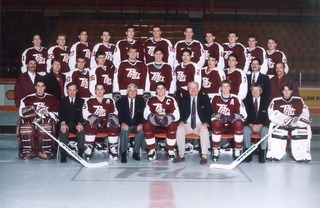 If Sunday’s pre-season tilt was a sign of things to come between the Petes and Generals, fans are in for a season of restored rivalry between the historic junior hockey clubs. A fast, physical high-scoring affair resulted in a 6-5 shootout win for the hometown Petes. Early in the first, on an odd-man rush, Tyler Tullio snuck in behind the Petes’ defencemen, picking up the puck as he headed behind the crease. Boston Bruins prospect Jack Studnicka was waiting patiently on the doorstep and fired a shot past Hunter Jones to give the Generals a 1-0 lead. After a handful of missed chances on their first power play of the afternoon, the men in maroon connected to tie the game. Zach Gallant was sent into Oshawa’s zone and threaded his way through a troop of Generals, forging a path to the Cole Ceci’s crease, and pushing the puck into the back of the net. The equalizing marker was assisted by overage forward Adam Timleck. As they did the night before, the Petes held a strong lead on the shot clock through 20 minutes, out-shooting their counterparts 15-7. With offsetting penalties already on the board, the matinee match up was becoming more and more of a classic Petes versus Generals affair. Multiple disagreements broke out, sending a handful of players to each penalty box as 13 infractions were handed out by the officials. The fisticuffs fueled the Generals’ fire, as Montreal Canadiens prospect Allan McShane gave the visiting team their second go-ahead goal of the game. Giovanni Vallati, who was recently acquired by Oshawa from the Kitchener Rangers, assisted on the play. Patience in the slot then paid off for Pavel Gogolev, who potted his first goal of the season with a rocket of a shot off a feed from fellow Russian and future Toronto Maple Leaf Semyon Der-Arguchintsev to tie the game again, this time at 2. It took Oshawa just 20 seconds to get back in front, then added another goal to double their lead, as Swiss import Nando Eggenberger put away two consecutive unassisted goals. The teams headed to their respective rooms with the Gens ahead 4-2 on the scoreboard, and the Petes holding a 27-18 lead in shots. 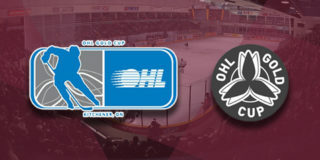 Penalties proved costly for Oshawa in the final frame, as they allowed the Petes to get back in the game with two consecutive power play goals. 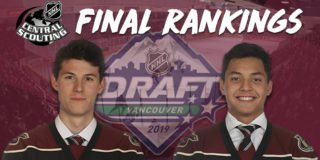 The first was a slow-mo slide through the five hole of Mario Peccia by Der-Arguchintsev, with sophomore John Parker-Jones and Hunter Jones picking up assists. The next came off the stick of Timleck who, with an assist earlier in the match, put up his second point of the night to tie the game at 4, with Chris Paquette and Nick Robertson adding assists on the play. The ‘Boro boys finally took their first lead of the game when Brady Hinz showed determination in front of Oshawa’s net to bang home a rebound with just over 7 minutes left in regulation. Liam Kirk added his second assist of the pre-season, while Parker-Jones registered his second helper of the night. Eggenberger completed a hat trick with 1:23 remaining in the period to send the game straight to a shootout. Final shots were 39-25 in favour of the home team. Eggenberger, Timleck, and Der-Arguchintsev were named the first, second, and third stars of the game, respectively, while Robertson was named the team’s hardest working player of the game. The Petes continue pre-season action at home on Thursday, September 13 at 7:05pm against the Kingston Frontenacs, wrap up exhibition play with road games against the Barrie Colts on Saturday, September 15 at 7:30pm and the Oshawa Generals on Sunday, September 16 at 6:00pm in Port Perry. Tickets for Thursday’s game, as well as 2018-19 regular season games, are available through the PMC Collins Barrow Box Office in person, online, or by phone at (705) 743-3561.